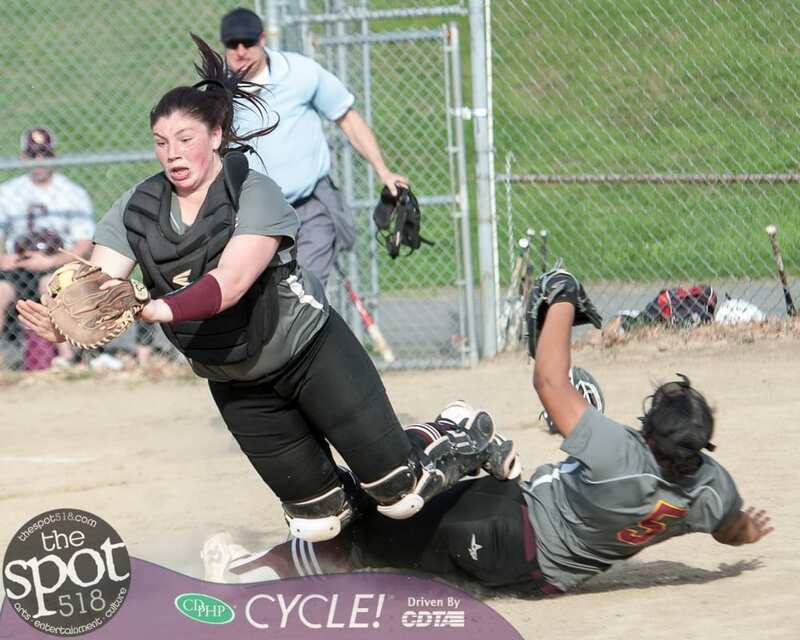 COLONIE – The Garnet Raiders travelled across town to take on Shaker on Wednesday, May 2, and walked away with a 7-0 win and town softball bragging rights. The Raiders sent nine to the plate in the first inning and the first four batters scored. Alexis Szesnat led off with a triple and that was followed by back-to-back doubles by Katelyn Rice and Sarah Baluch. The number four hitter, Ciana Phillips, drew a walk and that was followed by back-to-back singles by Myaisha Kelly and Chloe Vanburen. Colonie scored two more in the third and tacked an insurance run during the top of the sixth inning. Szesnat, Rice and Kelly each went 2 for 4 to lead Colonie while Darianna Resciniti tacked on a single and scored a run. Olivia Fazio went 2 for 4 to lead Shaker while Emmie Gilmore and Bianca Wilson had singles. On the mound for Colonie, Shealynn Peckowitz gave up just four hits while walking three and striking out four. For Shaker, sophomore Samantha Hardwick allowed seven runs on 11 hits while walking two and striking out two.